Please take a minute to read this Welcome Letter, it contains important information that we want you to know about getting treatments at Providence Community Acupuncture. $15-$35 per treatment. There is a $10 fee for the first visit only. No income verification; Pay what you can afford. 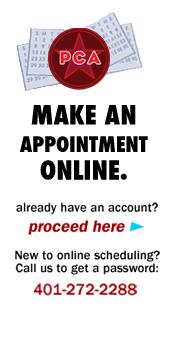 If you have insurance, we’re happy to give you a receipt to submit, or print one for yourself via the scheduler. We do not bill insurance. People are treated in the same room. There is no disrobing, so wear loose comfortable clothes. The collective energy of being treated in a group enhances your treatment. Families and friends can come together. Stay as long as you like; or let us know if there is a specific time you need to be up by. We use mostly distal points on the arms and legs to treat most everything. We don’t have to stick needles where the problem is to get results. Really! Our affordable fees mean that most people can actually get enough treatments to get better and stay better. We are licensed acupuncturists, using sterile disposable needles. Our mission is to provide quality affordable acupuncture. Our clinic is peaceful and friendly place that welcomes all people. We strive to empower our patients, workers, and volunteers with a healthcare model that requires responsibility, participation, and community building. Please call or leave us a message 24 hours before your appointment if you need to cancel or we will ask you to pay a $15 missed appointment fee. When you go back for treatment get yourself ready by choosing a recliner, removing shoes and socks, pushing up your sleeves and pants and settling in before the acupuncturist arrives. Feel free to bring ear plugs, ear phones if that will help you to rest better in our treatment rooms. We all create our quiet peaceful setting by speaking softly, and not too much. Strong scents, perfumes, aftershave, body care/hair products, and detergents can trigger allergic reactions and headaches for other. Please try to minimize the use of these before you come to the clinic. Wear shoes when you walk around the clinic. Acupuncture is a process. Every now and then, acupuncture will act like a “miracle cure”, and a person will have all of their symptoms disappear after only one treatment – but that is a rare event. Acupuncture works by stimulating the body’s own self-healing mechanisms; it is gentle and safe and usually gradual. Almost everybody who gets acupuncture will need a series of treatments to get good results, which is one big reason we came up with our sliding scale. If you don’t come in often enough or long enough, acupuncture probably won’t work well for you. Your acupuncturist will suggest a treatment plan to you, meaning, how many treatments we think you will need to get good results; please let us know if you have any questions about your treatment plan, and please stick with it to the best of your ability. We are able to keep our prices low in part because of the extraordinary amount of marketing that our patients do on our behalf. We are grateful for this. We are a community based business and do not receive any grants or funding from sources other than our patients. We need your help to get the word out about the benefits of acupuncture, and that it is affordable. When we first opened in 2007, we saw about 40 patients per week and were open part-time over 4 days. Nowadays we see close 400 people per week and we’re open 7 days, and over 60 hours weekly! Want to learn more about community acupuncture? 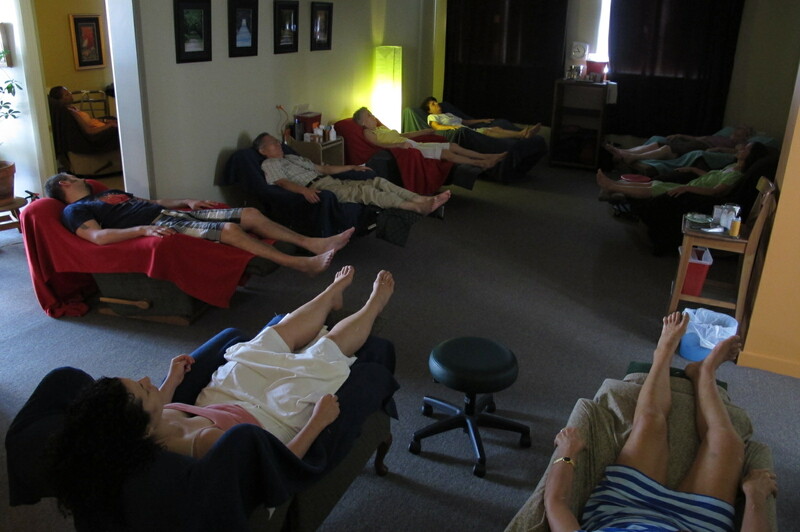 PCA is part of the Peoples Organization of Community Acupuncture (POCA), a nationwide movement of clinics like this one, working to build affordable acupuncture centers all over the country. We have some books for sale: Acupuncture Points are Holes, Fractal, Acupuncture is Like Noodles, and Why Did You Put that Needle There? The proceeds from the sale of books goes back to POCA . If you don’t reach us it’s okay to leave a message on the voice mail with your cancellation info.